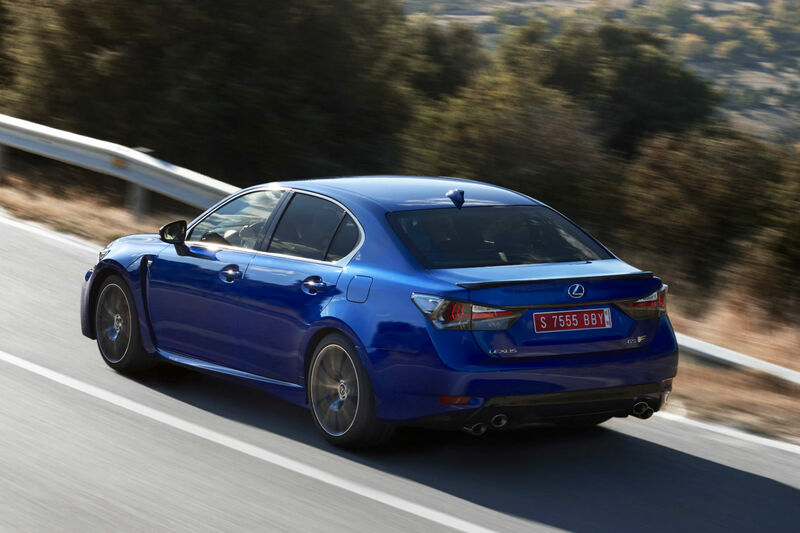 Exclusive, expensive and exciting, the GS F could make you think twice about buying that M5. Lexus is best known for fuel-sipping hybrids, not flame-spitting super saloons. And no matter how good the new GS F is, that’s unlikely to change. You see, this flagship V8-engined GS is destined to remain a rare sight. Lexus expects to shift just 100 each year in the UK – half as many as the RC F coupe. But therein lies the rub, because selling in small numbers is a big part of this car’s appeal. Put simply, you won’t spot another in the golf club car park. 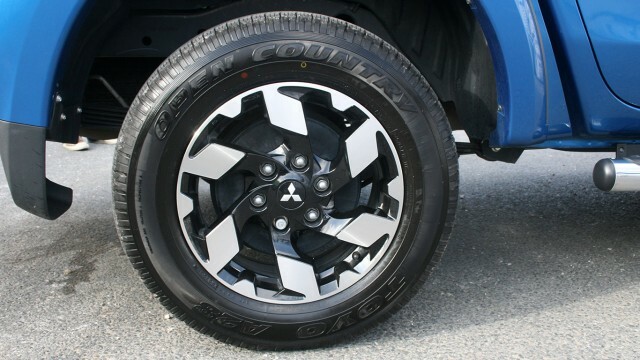 Let’s start with the styling, which is angular, aggressive and distinctively Japanese. Lexus’ prominent ‘spindle’ grille is framed by gaping air intakes, while orange brake callipers hide behind 19-inch alloy wheels. At the rear, twin tailpipes hint at the prodigious performance on offer. There’s also a spoiler made from carbonfibre-reinforced plastic – just like the LFA supercar. 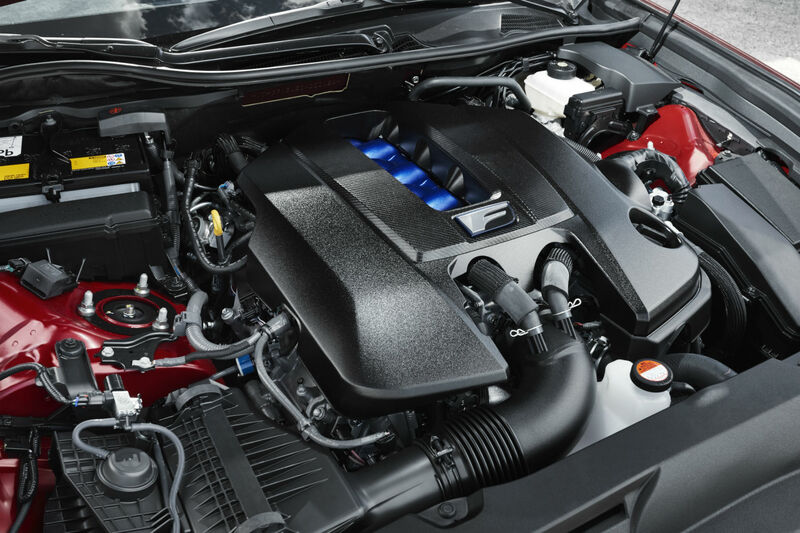 The heart of the GS F is more conventional: a 5.0-litre petrol V8 that drives the rear wheels via an eight-speed semi-automatic gearbox. However, while its Audi RS6, BMW M5 and Mercedes-AMG E63 rivals all boast in excess of 550hp, the Lexus makes do with ‘just’ 477hp. Even so, that’s sufficient to catapult this luxury car to 62mph in 4.6 seconds (on par with a new turbocharged Porsche 911 Carrera) and a top speed of 168mph. A torque-vectoring differential, which constantly adjusts drive between the rear wheels, bodes well for cornering agility, too. 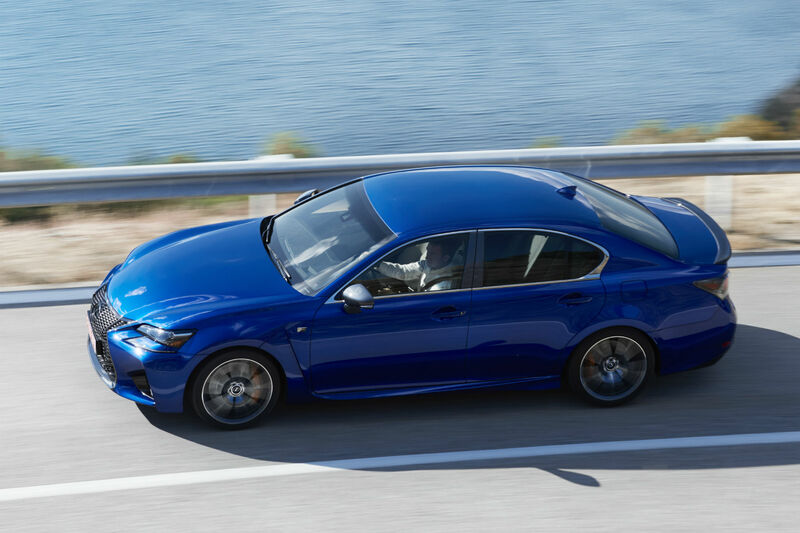 Perhaps the GS F’s biggest point of difference, though, is the way it is marketed. 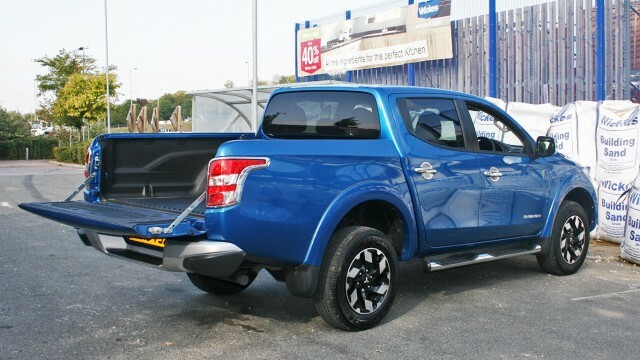 It isn’t cheap, at £69,995, but everything – well, almost everything – is included. 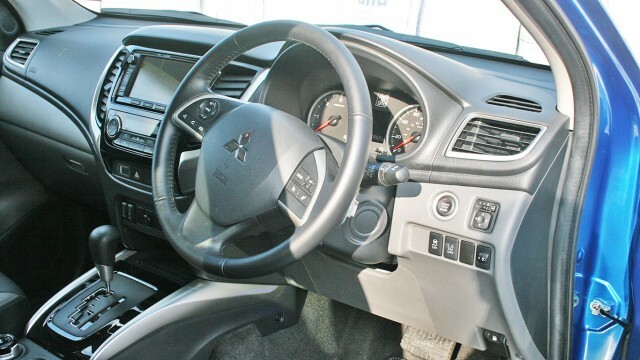 That means (deep breath) adaptive cruise control, automatic emergency braking, sat nav, metallic paint, Bluetooth, leather trim, dual-zone climate control, head-up display, automatic headlamps/wipers, a reversing camera, front/rear parking sensors and electric front seats with heating and ventilation. In fact, the only options are a sunroof and 17-speaker Mark Levinson audio system. Beyond that, you only need worry about paint colour. 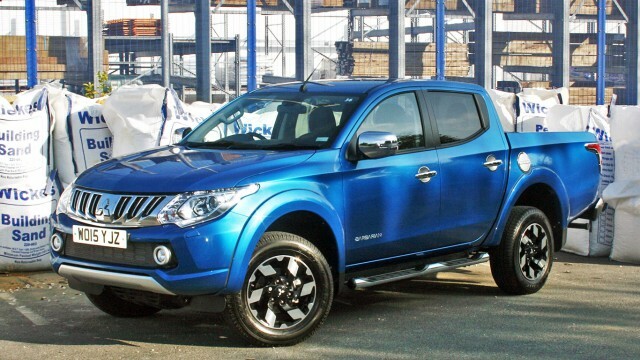 Compare with the German brands, which offer a bewildering range of extras – nearly all of them at additional cost. All of the above is somewhat meaningless, however, if the GS F doesn’t deliver the goods from behind the wheel. 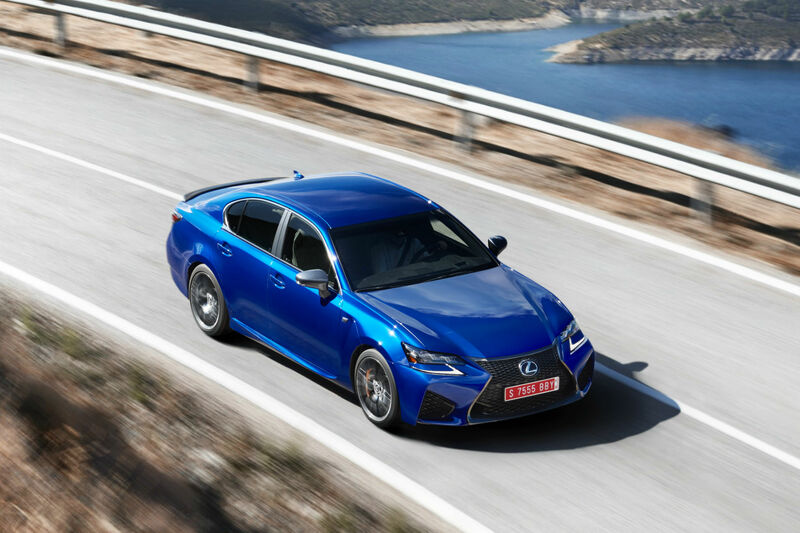 So we took one to Jarama race circuit in Spain – and the fabulous rural roads that surround it – to see if Lexus really can beat the Germans at their own game. Road cars, even ‘sporty’ ones, often feel out of their depth on a race track. As the Lexus GS F is a large, four-door saloon weighing well in excess of two tonnes, you’d be forgiven for thinking it does, too. But you’d be wrong. On the tight turns and cobbled kerbs of Jarama – a circuit used for the Spanish Grand Prix until 1981 – the GS F did a passable impression of something small, light and remarkably nimble. Key to this agility is the standard torque-vectoring differential (TVD), which adjusts torque between the rear wheels to improve traction, turn-in and stability. The TVD offers three modes. Standard is a stable set-up for regular road driving. Slalom sends more torque to the outside rear wheel when cornering to help the car turn more keenly. And Track diverts torque to the inside rear wheel, for improved stability – and tail-wagging oversteer on demand. The GS F also impresses on the road, but for different reasons. Yes, it’s a sports saloon, but it’s also a Lexus – and that means impressive refinement and light controls. 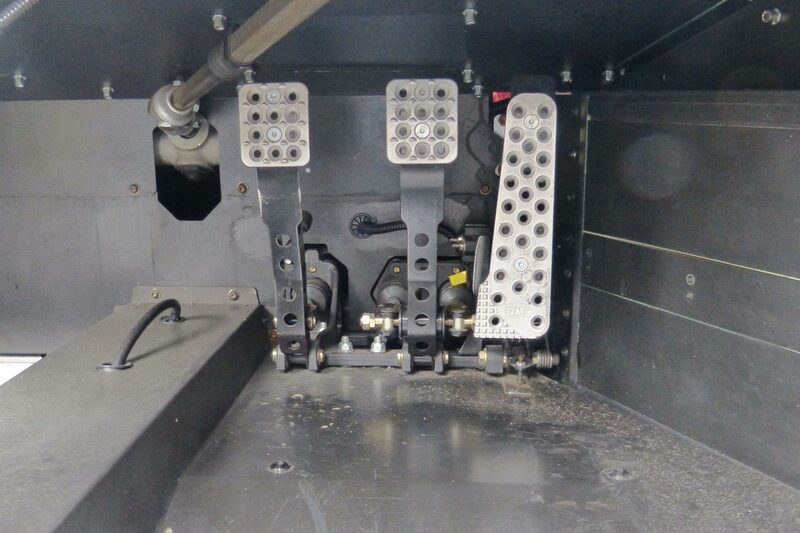 Indeed, we found the steering a little too light in anything other than Sport+ mode. Only when you approach the limits of grip does the helm really start to bite. Above all, though, this is a car dominated by its engine. Peak power of 477hp is developed at a heady 7,100rpm, so you need to explore the upper reaches of the rev counter. But that’s no chore – this 5.0-litre V8 loves to stretch its legs. Floor the throttle and it awakens with a rumble, then a red-blooded roar. The noise is augmented through the stereo speakers, so you’re never completely sure what’s real and what’s synthetic. But no matter, only a Mercedes-AMG V8 beats it for deep-chested, turned-up-to-11 volume. It’s preposterously, wonderfully OTT. The GS F may deliver Porsche-baiting performance, but this is no stripped-out road racer. ‘Luxury comes as standard’, proclaimed a Lexus manager over dinner and, PR hyperbole aside, he was right. 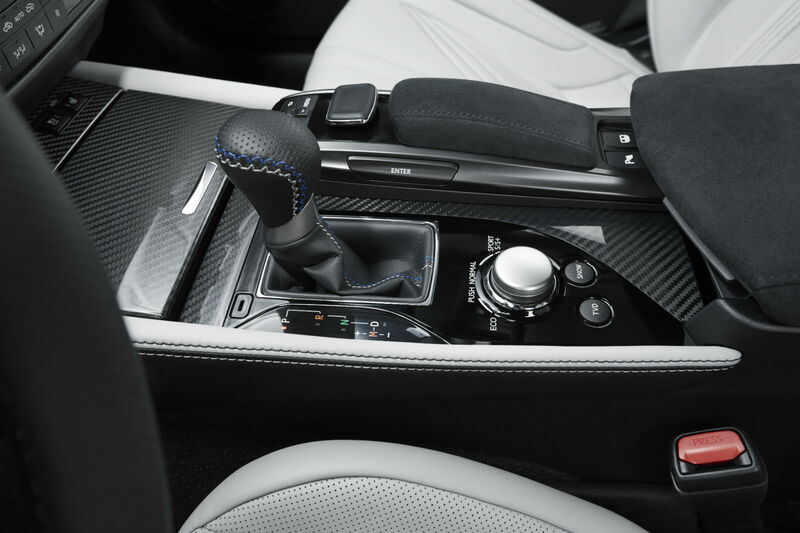 The interior of the GS F is beautifully finished. Supple leather covers the sports seats, while Alcantara (an artificial suede-like material) swathes the dashboard and door-tops. Even the flashes of carbonfibre-effect plastic look realistic. Settle into the heated, ventilated and memory-adjustable driver’s seat and your view ahead is dominated by a large TFT rev counter. Switch to Sport or Sport+ modes and the display changes, becoming redder and angrier – another deliberate echo of the LFA supercar. There’s also a large 12.3-inch colour screen for sat nav and infotainment functions. 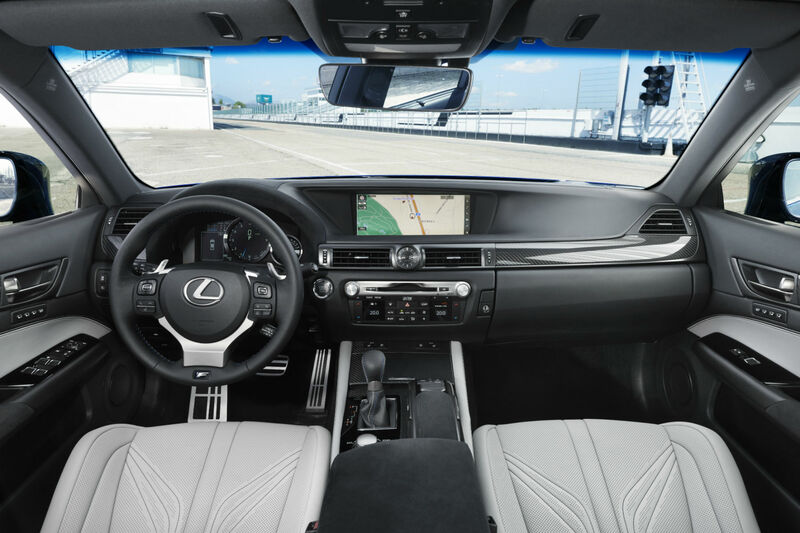 Its high position on the dashboard means you don’t need to divert your eyes from the road, but we still struggle with Lexus’ overly-sensitive touchpad controller. It’s much trickier to use than the ‘clickwheel’ favoured by Audi and BMW. For a large car, the GS F isn’t particularly spacious in the back; both legroom and headroom are limited for taller adults. The wide transmission tunnel also means a fourth passenger sits with legs splayed in a manner that could make even hardened motoring hacks blush. You can’t fold the rear seats to boost luggage space. However, the boot’s 520-litre volume is identical to a BMW 5 Series and there is a ski hatch for loading longer objects (like, er… skis). If you want a warp-speed family wagon, though, you’ll need to shop elsewhere – start with the Audi RS6 or Mercedes-AMG E63 estate. We’ve already touched on the GS F’s generous standard equipment, so we won’t list it all here. Suffice to say that, like-for-like, once options are taken into account, you can expect at least a five-figure price gap between this car and its German rivals. Let’s not dwell on this too much, eh? You can’t expect a 5.0-litre petrol V8 to sip fuel like a Toyota Prius, even if they are distant cousins. Official economy for the GS F is 25.2mpg, but that figure can easily plummet below 20mpg if you drive with a heavy right foot. For comparison, the GS 300h hybrid returns 60.1mpg. Those quad tailpipes also emit their fair share of CO2 – 260g/km, to be exact. That puts the GS F in the top band for car tax (VED). You’ll pay a wallet-wilting £1,100 in the first year, then £495 a year thereafter. It’s a shame that Lexus won’t match the warranty of its parent company, Toyota. It seems odd to offer five years and 100,000 miles of cover on a sub-£9,000 Aygo, but only three years/60,000 miles on a £70,000 GS F.
That said, three-year/60,000-mile cover is pretty much standard among the ‘premium’ brands and Lexus has a proven reputation for near-perfect reliability. Near-perfect? Yes, genuinely. Regular chart-topping performances in Which? and JD Power surveys have made Lexus – and its highly-regarded dealers – the benchmark against which all other carmakers are judged. The GS F doesn’t quite offer the dynamic delicacy of a BMW M5 or the gut-punching oomph of an Audi RS6. But we’re not sure that really matters. Today’s sports saloons provide performance so far beyond what you can safely – and legally – use on the road that emotive appeal, i.e. how the car looks, sounds and makes you feel, is arguably more important. 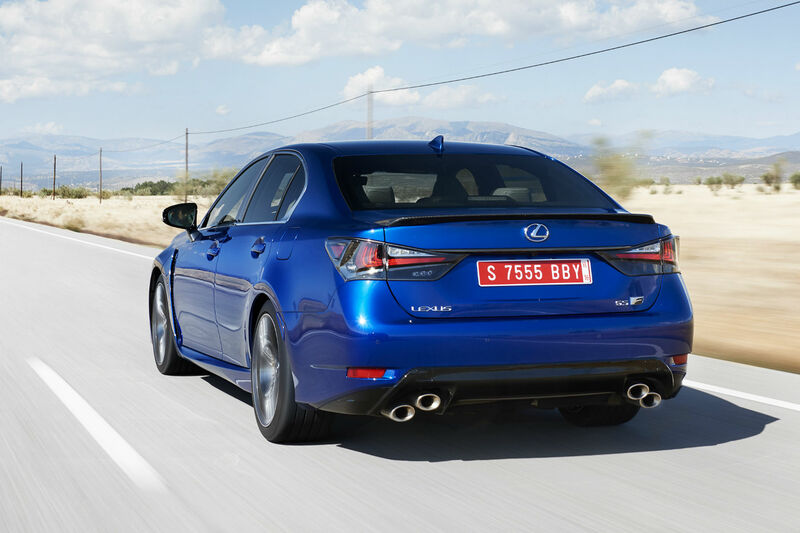 And there’s no question, the GS F pushes our buttons. It looks fabulous, especially in the Azure Blue seen here, or bright Solar Flare orange. And you’ll never forget there’s a V8 under the bonnet; the noise under full-bore acceleration is akin to a low-flying bomber. The fact that it will remain a rare beast undoubtedly adds cachet, too – and protects future resale values. 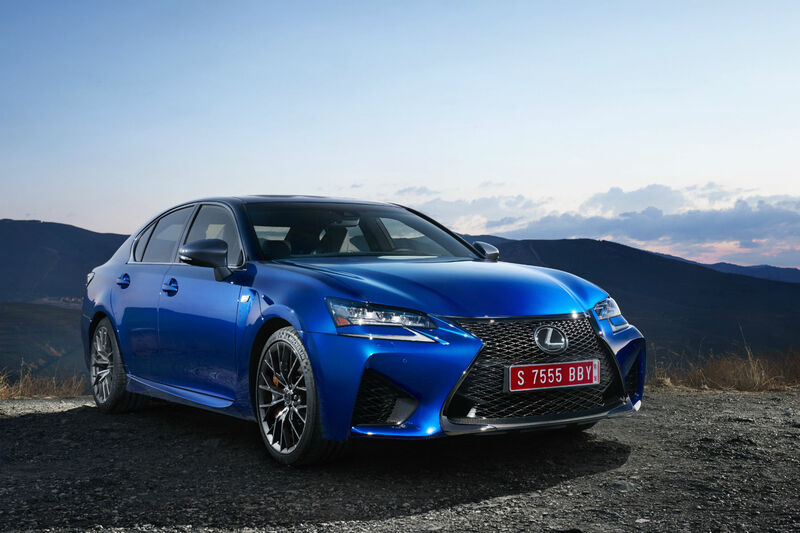 The RC F coupe will be more popular, but the GS F is undoubtedly cooler. 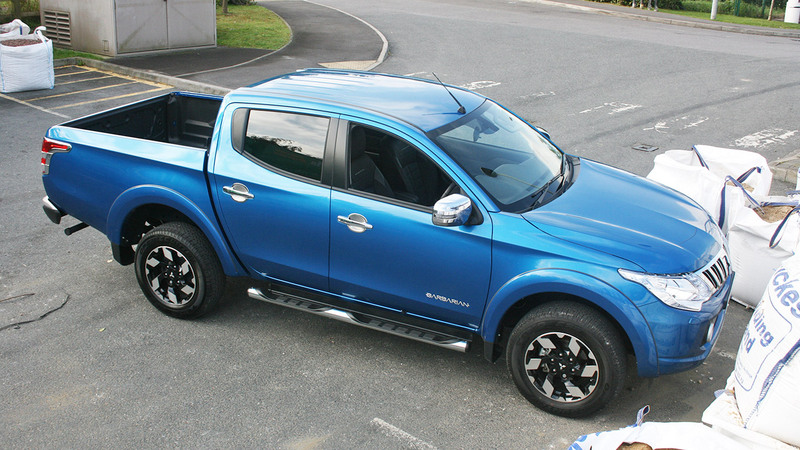 Our only real bugbear is that the GS F could have been a lot cleverer. Like most petrolheads, we’re suckers for a big V8, but surely with all its expertise in petrol/electric tech, Lexus could have produced a hybrid super saloon? 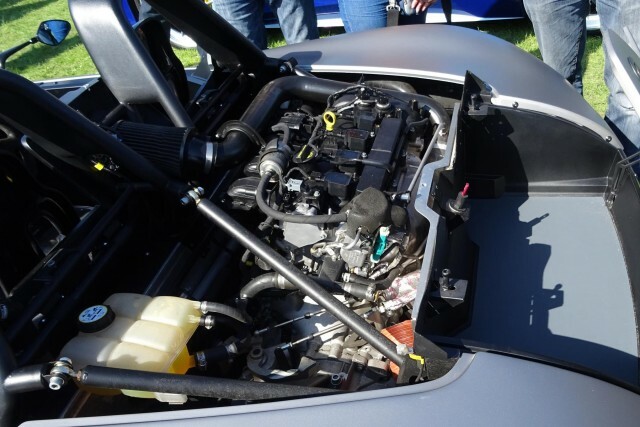 A budget Porsche 918 Spyder, if you like. 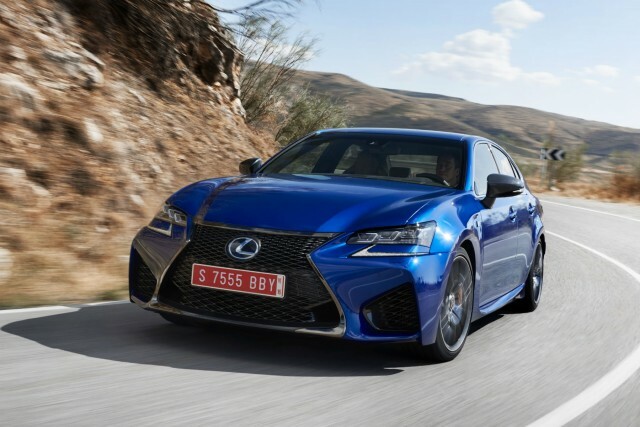 Using batteries would make the GS F a truly unique proposition in this sector, boosting low-down torque while improving fuel economy and drastically lowering the car’s tax liability. Even standing still, the looks of the Vuhl 05 are arresting. It oozes athleticism, appearing to move at speed even when its wheels are firmly planted on the tarmac. 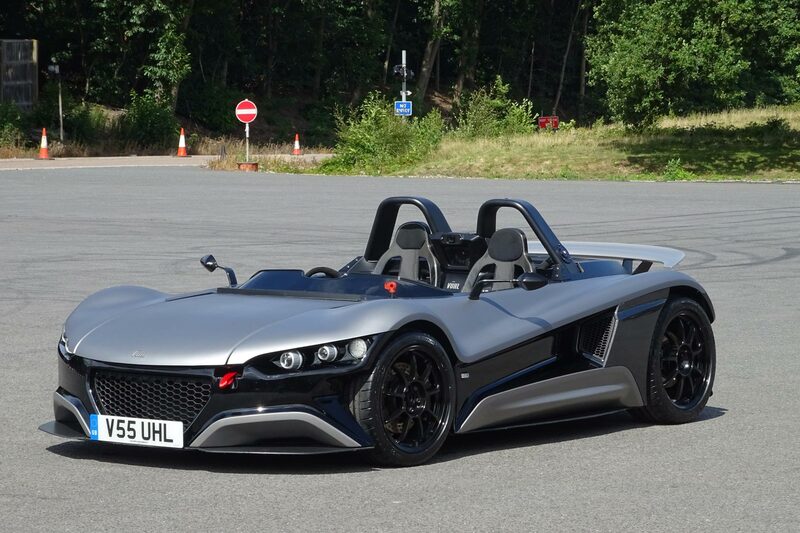 The Vuhl is a track car, you won’t be astonished to hear. What may surprise you is that it comes from Mexico, is built to an exacting quality and works pretty damn well on the road, too. The chassis is aerospace technology, all bonded aluminium and honeycomb stiffening with the engine and rear suspension bolted directly to the rear of the passenger cell. That makes it very light indeed, and at less than 700kg, the power-to-weight ratio is 400hp per tonne. We were one of the first to drive what turns out to be the only car currently in Europe. The launch price is £59,995 and it’s being sold through Bespoke Performance in Ware, Hertfordshire. Press the start button on the central pillar (there’s a kill switch under a red lever alongside) and the Ford 2.0-litre EcoBoost engine starts readily. Then it’s simply a matter of dipping the clutch and heading off. The gearbox and pedals are straightforward, with not an automated change or flappy paddle in sight. 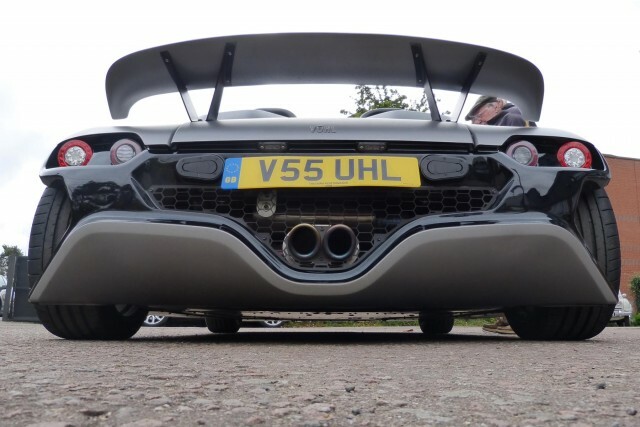 Ground clearance is certainly an issue, although Vuhl assures us that the carbon bits on this car can deal with the light brushing that inevitably happens. 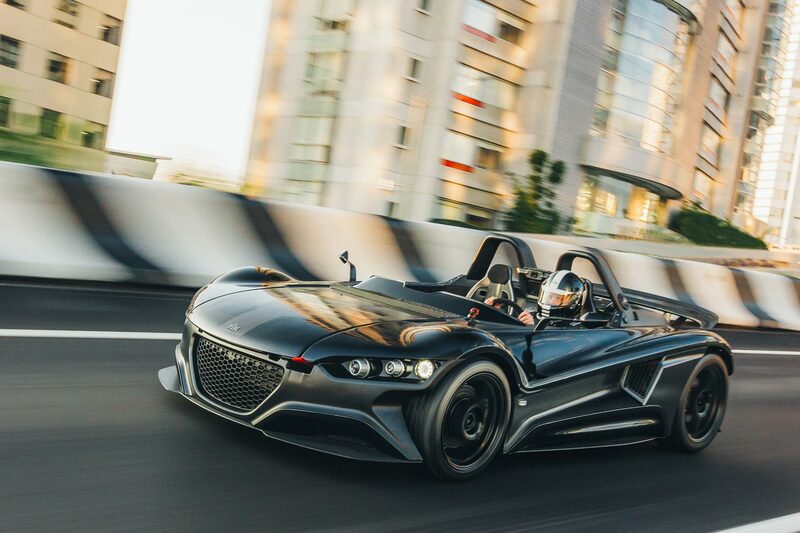 With an acclimatisation period that’s measured in minutes, the time soon comes to find a straight piece of road and explore the Vuhl’s 285hp performance envelope. And it’s simply eye-watering. Not merely because there’s little in the way of a windscreen, but the astonishing way it accelerates forward. 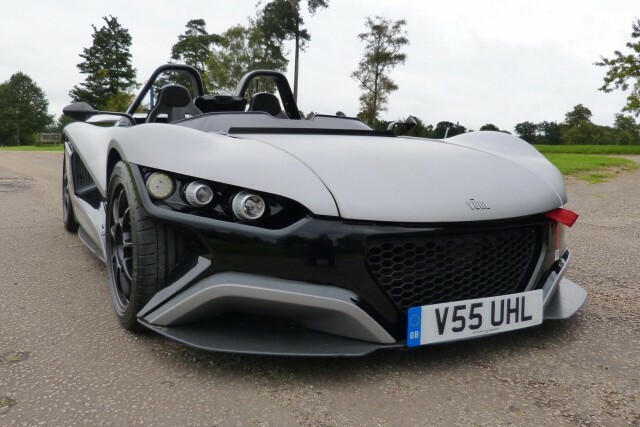 Vuhl quotes a 0-60mph acceleration time of 3.5 seconds. That’s the same as the forthcoming McLaren 540C. But it feels even faster, with all the wind, engine noise and closeness to the road. This is truly thrilling stuff, with turbo boost instantly responding to a small movement of the throttle. Passengers will be left speechless. 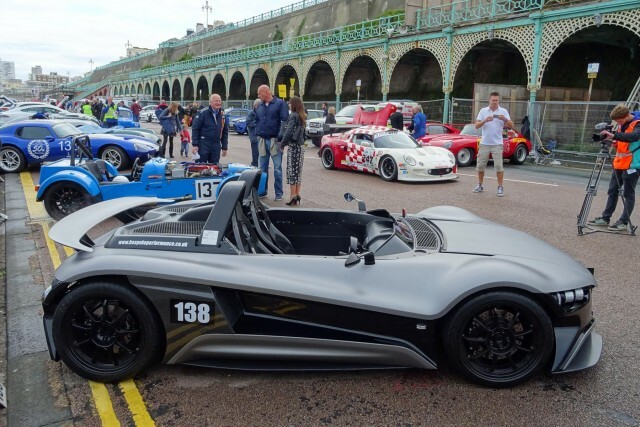 Stick the Vuhl on a typical British winding road, peppered with surface imperfections, and the story is also a good one, with delightfully precise, accurate, low-friction steering and suspension that has the compliance to keep the car pointing in the right direction and prevent passengers being hammered around. Neither the steering nor the four-pot braking system are servo-assisted, but in a car this light it doesn’t matter. Indeed, many would argue that the benefit is that the feel though wheel and pedals is maximised. We’ll have to leave track impressions to another day, but rumour has it that Vuhl is going to sharpen it up a bit for customers who want to maximise circuit agility. The risk is that this will be at the expense of the decent ride comfort experienced here. OK, there are a couple of issues here. The lack of windscreen we’ve already mentioned. There are also no doors, or side windows, or roof. That means climbing in over the – admittedly low – sides and then dropping down into the seats. There’s less padding here than Chris Froome gets on his Pinarello Dogma bike, but that can be fixed to your own personal specification. The race bucket seats and full harness safety belts are a necessity for track use, but less than ideal on the road. 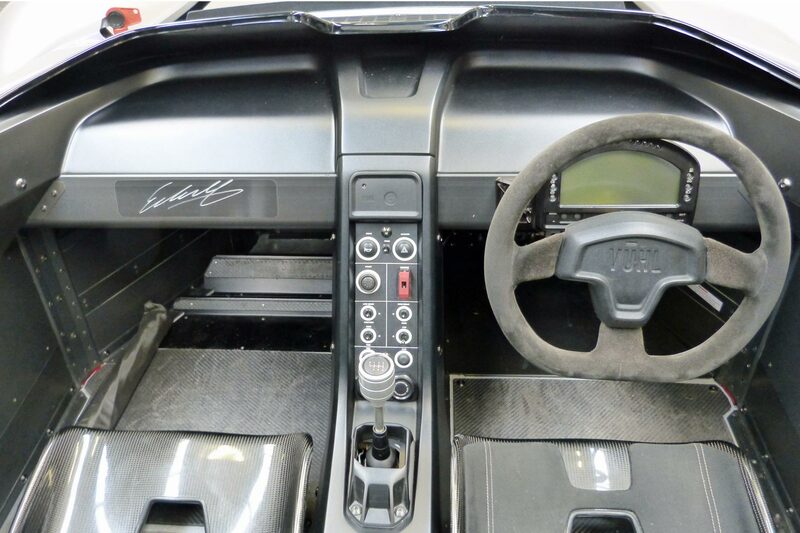 However, you do feel well-ensconced in the Vuhl, better able to concentrate on the job in hand. A full-face helmet is the obvious answer for distance of any significance on the road. Instead we ran with tight-fitting Oakleys, which started to lift off at speed. Just how fast was hard to say because the speedometer was reading close to 900 mph, which can’t have been right, surely… The instrument pack is tucked behind the steering wheel and not the easiest to use on the move. Thankfully, there’s a set of coloured digital lights that progressively illuminate as the revs get close to the red line. You don’t really need to ask about running costs, do you? The base price of £60k can be extended by adding carbon seats with water-resistant suede trim, exposed carbon body panels, that quick-release steering wheel, electronic data acquisition, built in HD camera and a titanium bolt pack. The track day market in the UK is a vibrant one. You can get lots of entry-level fun in a Caterham, while a Porsche 911 in GT3 guise is a popular but much more expensive route. Cars like the Vuhl offer something else, a racecar-like experience in a car that’s much more approachable for the non-professional racer. There are already quite a few to choose from: Arial, KTM, Lotus and Radical all offer highly capable alternatives. Yet the Vuhl looks, in our eyes, the most eye catching of them all. And from our perspective on the road, it’s possibly just as much fun, too. Hot on the heels of the new Skoda Octavia vRS 230 – the most powerful production vRS ever – comes the news that a 4×4 variant is on the way. 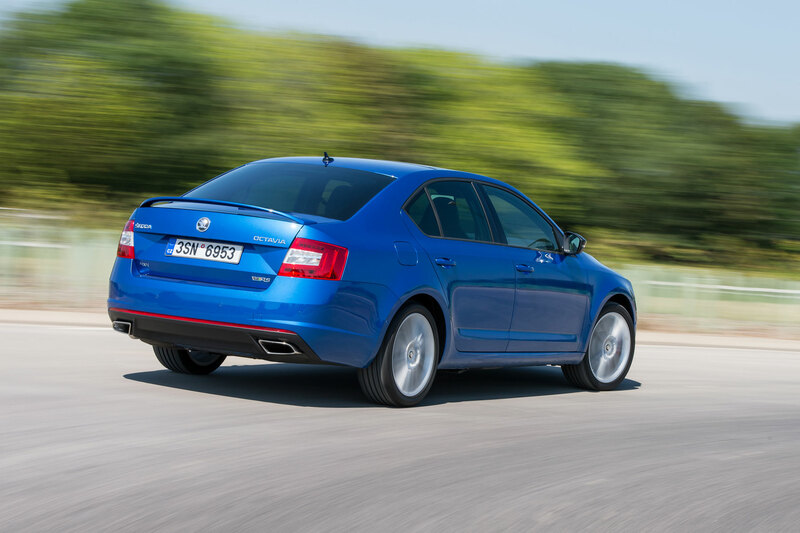 Could this be the missing cog in the Skoda Octavia line-up? More details on the UK specification will be released next week, but initial reports suggest the Octavia vRS 4×4 will be powered by the firm’s 2.0-litre TDI engine and offered with the six-speed DSG transmission. With 184hp on tap and the benefit of all-wheel drive, you stand every chance of matching the claimed 7.6 seconds it can take to reach 62mph. 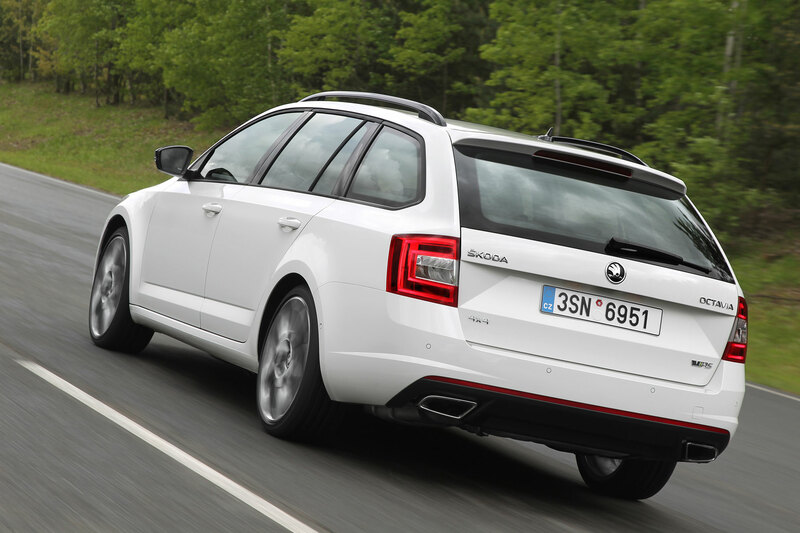 The third-generation Octavia vRS has been on sale since 2013, with more than 58,000 units produced to date. The new 4×4 version will be available in both hatchback and estate variants. It’s the ninth 4×4 in the Skoda range, which includes the Yeti 4×4 and Superb 4×4. Sadly, Skoda is sticking to its guns and not giving the world a Superb vRS. We can only hope that there’s a change of heart in the Czech Republic. In the meantime, there’s no word on whether a petrol version of the Octavia vRS 4×4 will be offered. We’ll bring you more news on the UK spec, including prices, next week. 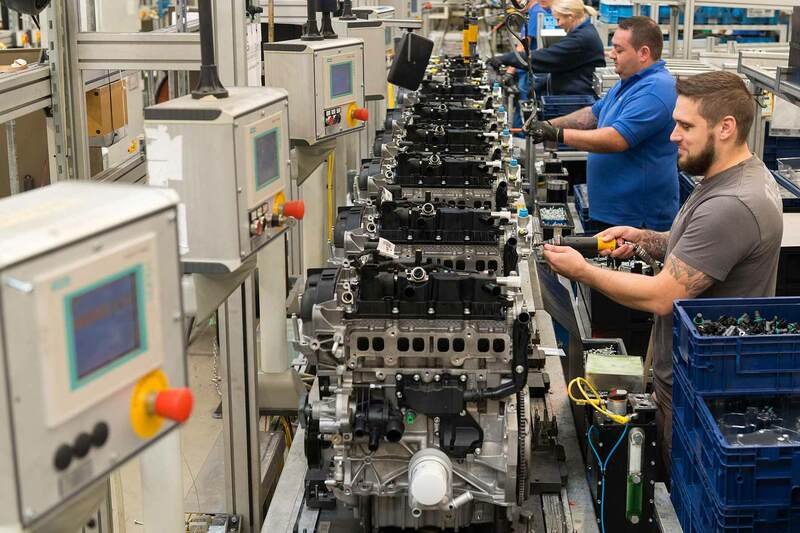 Ford has approved a new £181 million range of petrol engines to be built at its plant in Bridgend, South Wales – entirely coincidentally, in the same week as #dieselgate threatens the future of the diesel engine. Production of the new engines will begin in late 2018. They are currently being designed by teams based in Britain and Germany. Welsh economic minister Edwina Hart welcomed the news: “Ford is a Welsh Anchor Company and the Bridgend Engine Plant plays a key role in the economy of South Wales. A total of 750 skilled Welsh jobs will be secured “for many years”, added Hart. Ford used the announcement to remind us that one in four of all Fords sold in Europe uses an Ecoboost petrol engine. One in five uses the award-winning 1.0-litre Ecoboost petrol motor. Five million Fords sold worldwide have been fitted with an Ecoboost petrol engine, which uses features such as turbocharging and direct injection to improve fuel economy and reduce CO2 emissions to near-diesel engine levels – without the associated NOx penalties.